World famous actor, Leonardo DiCaprio, has announced that he is setting up a team for next year’s inaugural Formula E championship, which is due to begin in September. He will be in a paddock studded with business and racing greats, such as British entrepreneur, Richard Branson, and Mario Andretti, to name just a few. The Hollywood A-Lister seems to be the latest from Tinseltown to have caught the speed bug after he announced that he was the 10th and final team for the brand new international racing circus that is being launched in 2014. 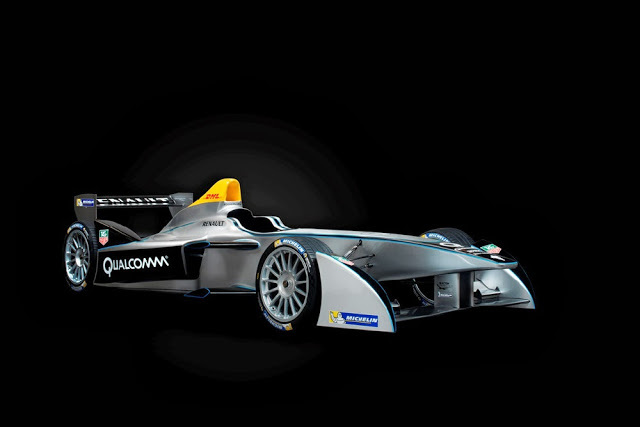 Formula E is a brand new championship organised by the FIA and will utilise single-seater race cars capable of travelling at speeds of up to 225km/h whilst producing zero emissions. There will be 10 teams with 20 drivers and 40 cars; each team will have 2 drivers and 4 cars. The drivetrain for the vehicles will all be manufactured by McClaren, the same one that races in the Formula One Championship, and each constructor must make their cars available to at least 2 other teams for a maximum price of EUR350 000, which is an obvious attempt to control costs. The championship was originally designed to be run on street circuits around the world and thus far some 10 cities have been confirmed – Beijing, Putrajaya, Rio de Janeiro, Punta del Este, Beunos Aires, Los Angeles, Miami, Monte Carlo, Berlin and London. The cars are set to race on circuits of between 2.5 to 3 kilometres, and will accelerate from 0 to 100km/h in under 3 seconds with a maximum noise output of a mere 80dB compared to F1’s 130dB. Each race weekend will see a radically different format to what we have become used to with F1. Of course we will still have a morning free practice followed by a late morning qualifying. There is then a need to break for a couple of hours to recharge the cars. The main event will be held over approximately 45 minutes and have 2 mandatory pit stops and one change of car (when the battery runs out) that will see the driver leave one car and sprint 100 metres to jump into the recharged car. Thus far, the 10 teams announced are actually mostly subsidiaries of major motorsport operations around the globe (see list below). The list is likely to increase by at least 3 more teams if Vastha Racing, Team Rosberg and Blue Bird are allowed in. The addition of Blue Bird, a name which is of course forever linked to Sir Malcom Campbell, could see the entry of a second manufacturer and, thus, become a very welcome addition to the small club of Formula E.
Over the years, there have been many, many, many new racing formulas that are now sadly defunct. The FIA and the 10 team owners are probably hoping that this event will capture the public’s imagination and stand the test of time.